Originally from the Black Forest in Germany, Marcel Schwarz grew up with a love of all things nature. Trekking outside through the forest, Marcel enjoyed the sight and sounds of the forestry, birds, deer, and even wolves. While inside the classroom, Marcel obtained his Bachelor’s and Master’s degrees in “Forest Science,” specializing in biometrics, modeling, programming, and statistics. This field of study is built upon a solid understanding of structure and function. Marcel particularly enjoys algorithms, artificial intelligence, integrating data, and statistical programming. While Marcel is versed in programming languages such as R, Java and Python, he was totally intrigued by the thought that a different modeling, no-code development environment existed, namely Crowd Machine. Introduced to Crowd Academy by his childhood friends, Marcel was drawn in by the notion that someone could actually develop applications without investing a great deal of time learning a new and difficult programming language, as is typically required. Marcel wanted to see how the Crowd Machine approach could actually work. 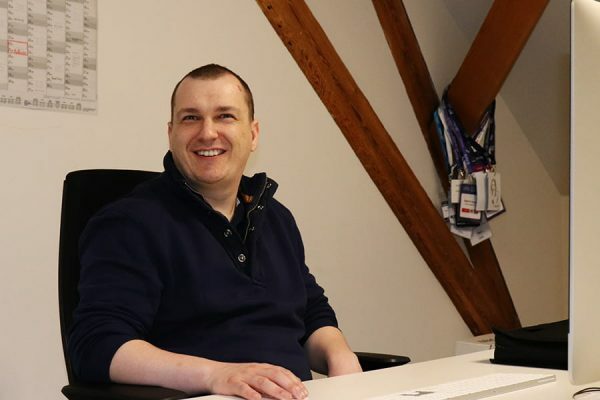 Despite his education and experience, Marcel lacked the knowledge of how to build applications, and had never developed an application, until Crowd Academy. I was very surprised how intuitive it is.” Marcel flew through bases 1-6 in only a week. Base 7 was the “most challenging,” taking Marcel roughly 35 hours. Marcel, comfortable hiding in the backend of a program where modeling and statistics live, found himself a fish out of water trying to make sure the user interface “looked pretty.” Marcel describes Crowd Academy as “interesting, exciting and challenging. While Marcel now has “lot of ideas” for app development himself, he has joined the Project Crowd development team, a start up currently using Crowd Machine to design, develop and deploy a next-generation recruitment platform for freelancers, on blockchain.